Go Big or Go Home!!! This bouquet is brimming with an assortment of flowers. 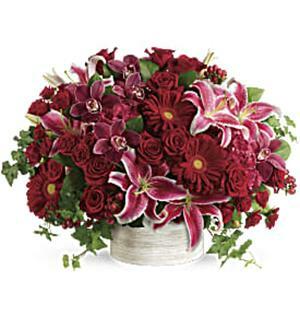 Hydrangea, orchids, roses and lilies in fabulous fuchsias and radiant reds, this breathtaking bouquet definitely makes a statement!